Hey guys! Happy Easter weekend!! 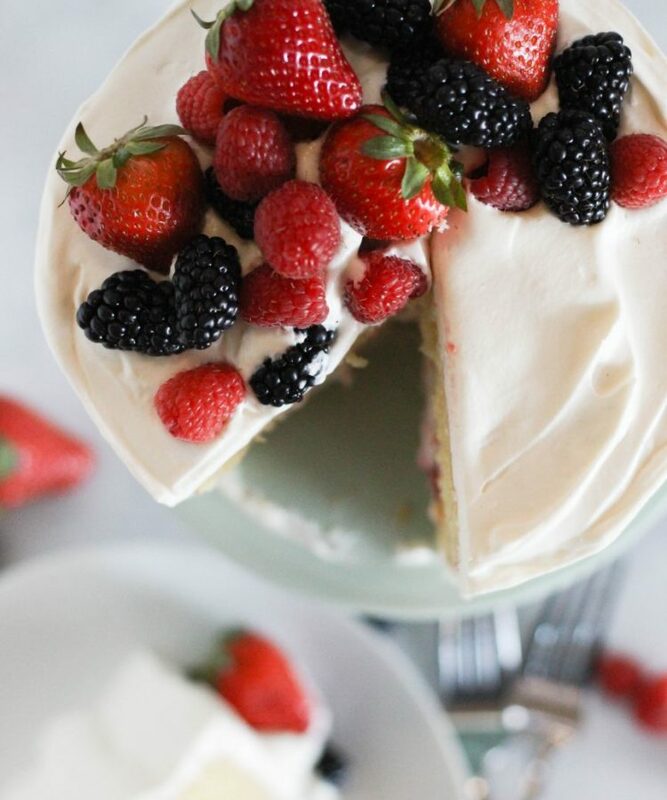 In the spirit of spring, I’ve got a Chantilly Cake for you guys today, filled with lots of beautiful berries, sweetened whipped cream, and a fluffy vanilla cake. It’s simple, beautiful, and really tasty. 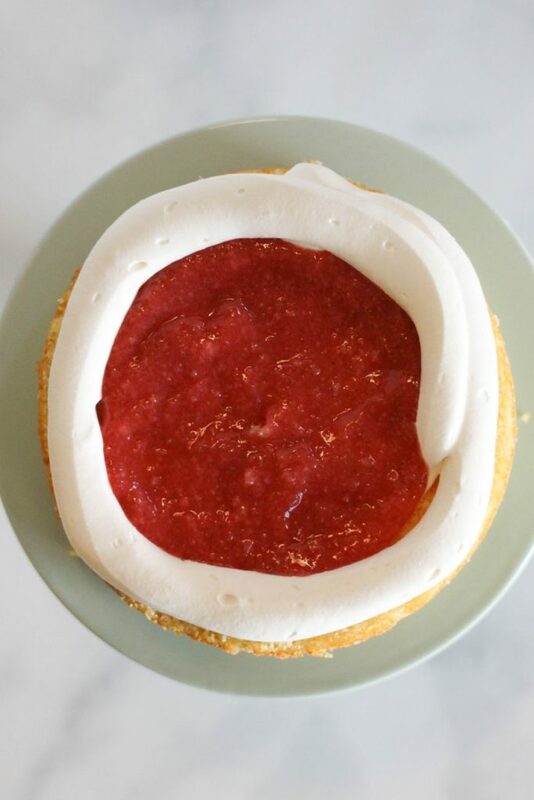 You guys may have heard claims about the Whole Foods Chantilly Cake, or maybe you’re even one of the die-hard followers of this beauty. I have a confession- I’ve never actually had it. I know, if you love them you’ll be gasping right now. So that being said, I can’t exactly promise that this cake is like that cake. But I CAN promise that this cake is super delicious. I mean, and what’s not to like? 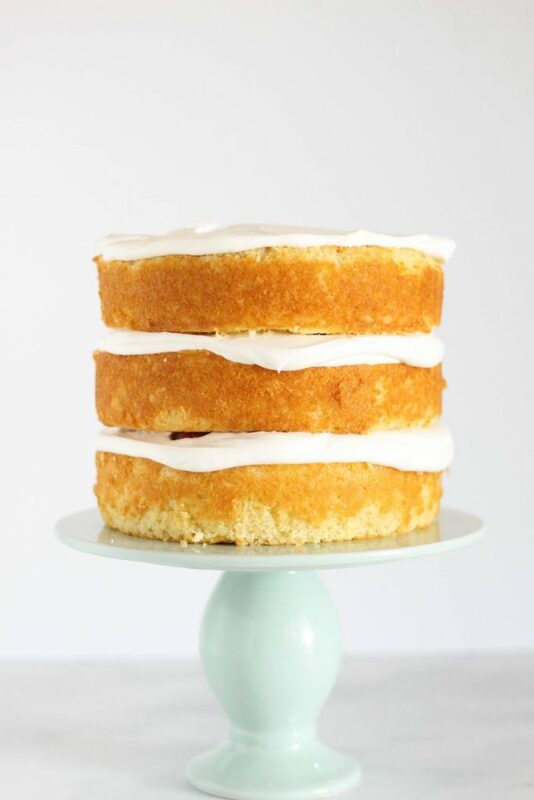 Here’s the one thing you’ll want to be careful about here- Chantilly Cakes are frosted with whipped cream, and while I’ve added cream cheese to provide some stabilization, it’s still not the strongest standing cake ever, so be aware of that as you go. Gentle is key! 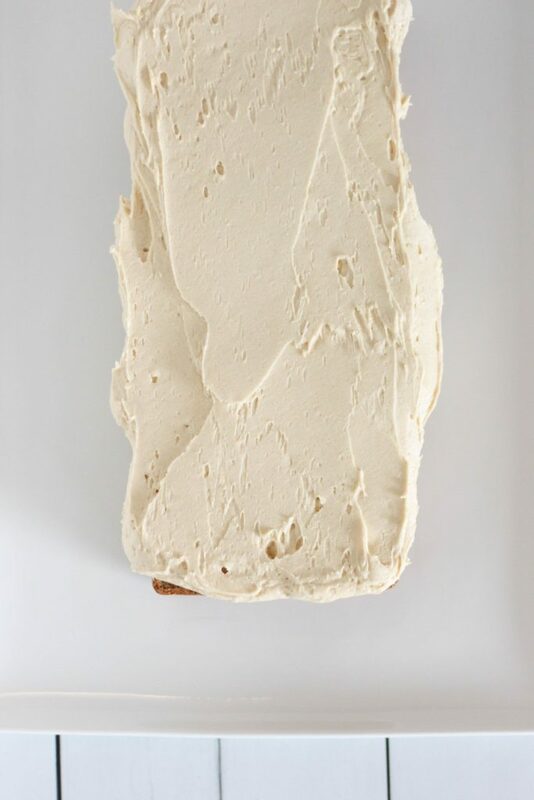 For the cakes, this is a classic vanilla cake, but we’re whipping up the egg whites and folding them to add a bit of that light, fluffiness that you’ll typically see in a cake like this. By the way, Chantilly, as far as I’ve ever known, just means sweetened whipped cream. The addition of cream cheese here is optional, but HIGHLY recommended. 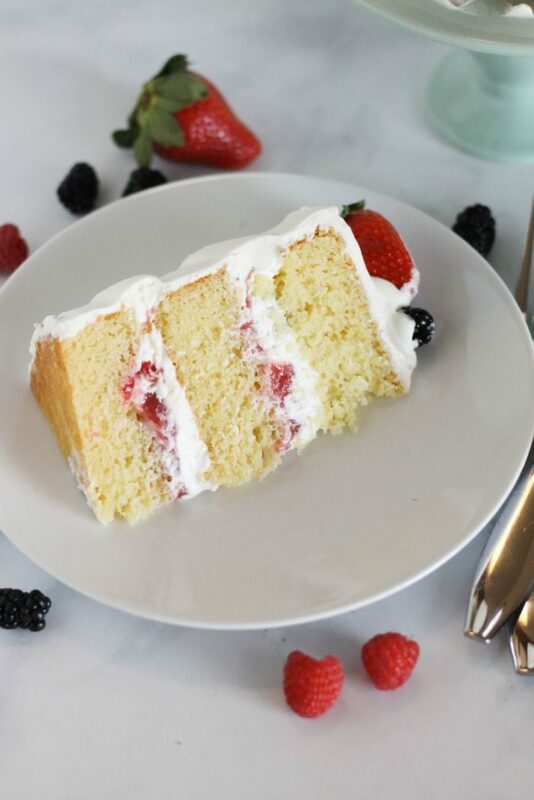 Not only does it taste amazing, but it also adds a touch of stability and thickness to the whipped cream, and it really helps when it comes to stacking and frosting the cake. I’m using strawberries, blackberries, and raspberries here, but you can use any berries you like. For the strawberries, I actually use most of them in a cooked-down, jammy, sauce thing that goes between the layers, and this also will work with any type of berry really really well, or even a mix of berries. Alright guys, go make this cake for your friends, I think they will all truly be impressed by the homemade version, it’s a killer cake. Enjoy! Preheat your oven to 350 degrees, and grease three 6-inch round cake pans and line the bottoms with parchment paper. This recipe also works with two 8-inch round pans. In a large bowl, beat together the butter, oil, and sugar until fluffy. Add in the vanilla extract, sour cream, and egg yolks, and beat until combined. Add in the flour, baking powder and salt, and beat until combined, then beat in the milk. The batter will be fairly thick. In a separate bowl, beat the egg whites until they just start to become fluffy, and then add in the remaining sugar VERY slowly as you continue to whip the egg whites. Beat until you reach stiff peaks. Stir about 1/3 of the egg whites into the batter to lightly the base of the batter. Then fold in the remaining egg whites. This will take a bit of time, but keep folding until the whites are fully incorporated. 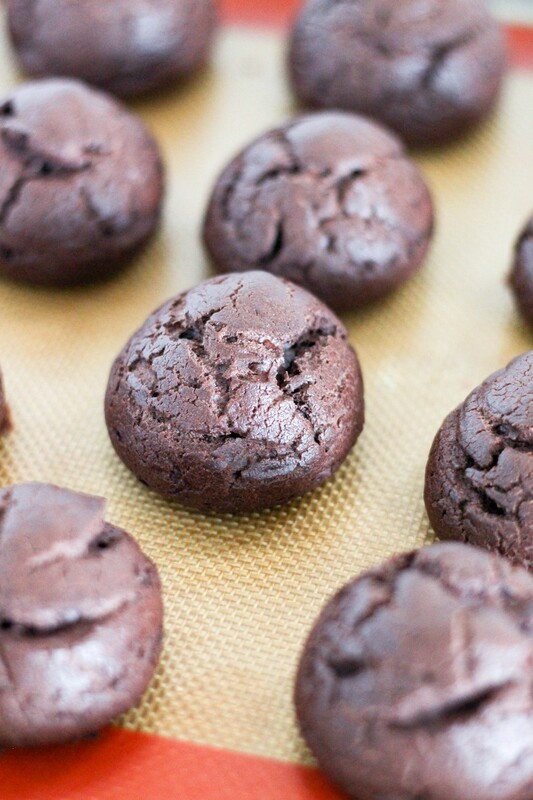 Divide the batter evenly between your pans, and bake for 18-20 minutes, or until a cake tester comes out clean. Cool the cakes completely before frosting. In a food processor or blender, blend the hulled strawberries until they are mostly mashed. Pour into a small saucepan, and cook over medium heat with the sugar, cornstarch, and salt, until the mixture is thick. Cool completely. In a large bowl or stand mixer, using a whisk attachment, beat the heavy cream, sugar, and vanilla together until stiff peaks form. In a separate small bowl, beat the cream cheese for several minutes until smooth and fluffy. Add the cream cheese to the beaten heavy cream mixture, and whip for several minutes to incorporate fully. 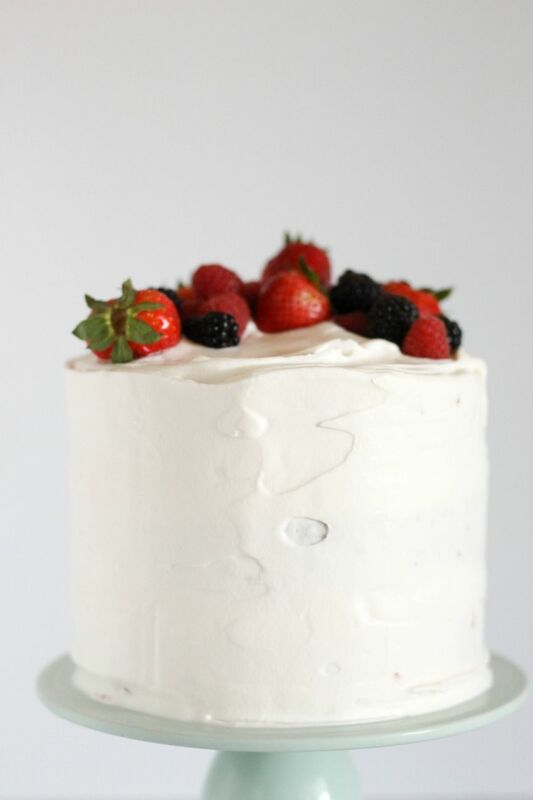 Once the cake layers have cooled completely, you can trim off the tops to make even layers. 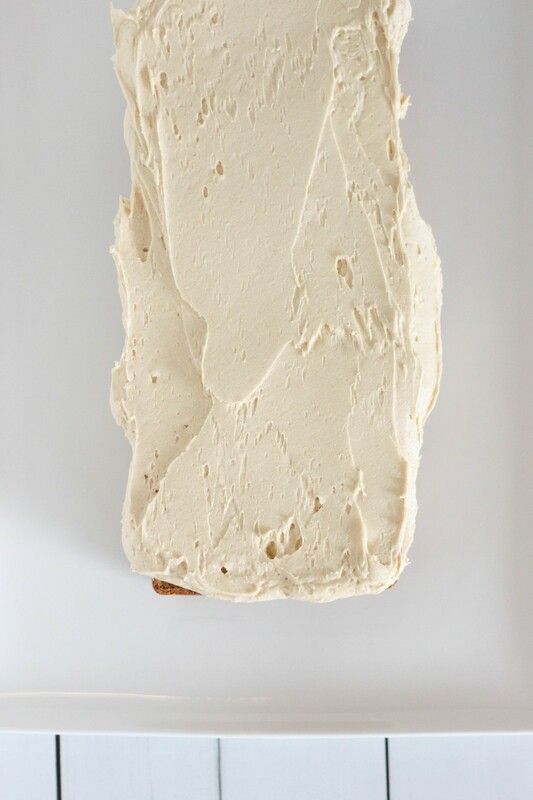 Using a piping bag filled with the Chantilly cream, make a thick ring around the edge of the first layer as a dam. Add about half of the strawberry sauce to the middle, and spread evenly. Cover the strawberry sauce with more cream, and spread evenly. 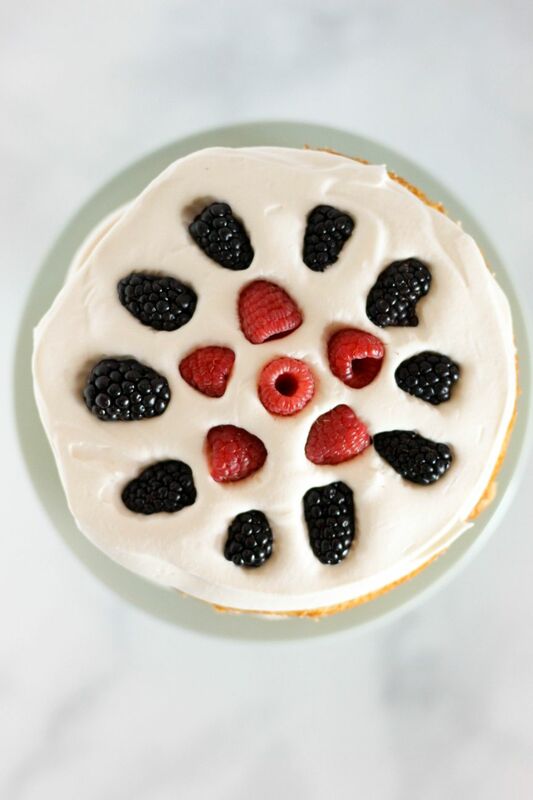 Top with raspberries and blackberries. Repeat this process until all three layers are build. 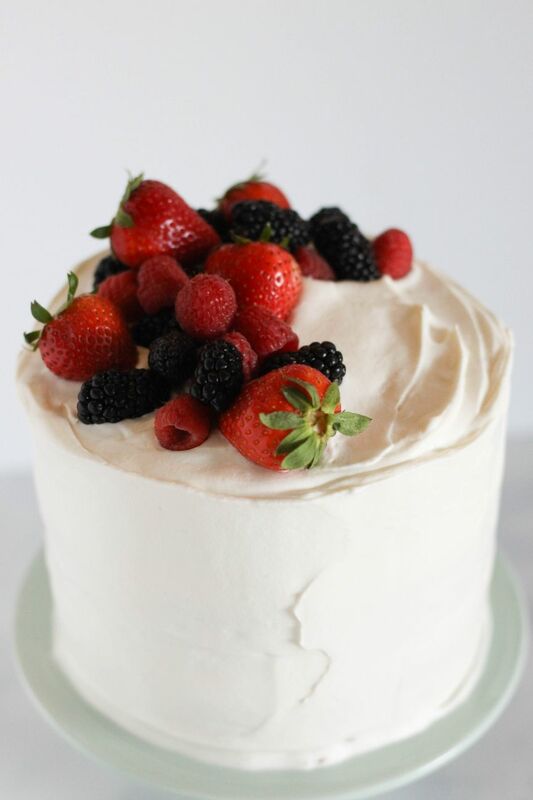 Then, use remaining Chantilly cream to frost the outside of the cake. Top with any remaining berries, and remaining strawberries. 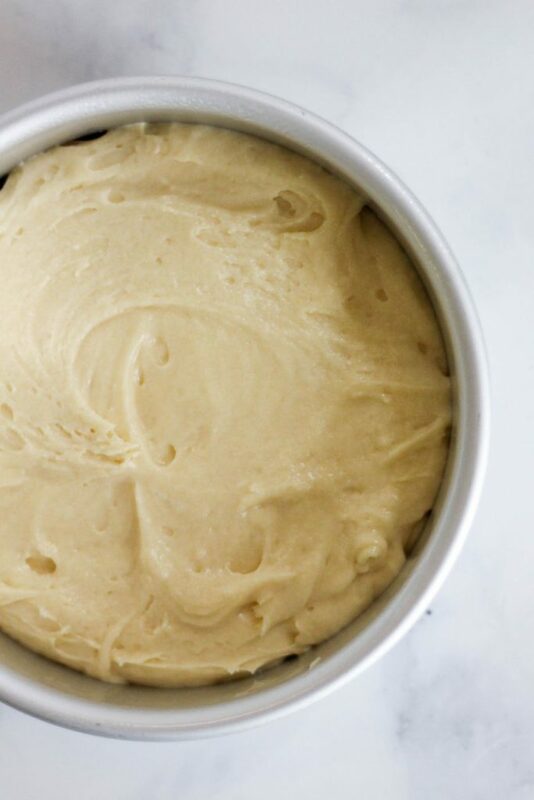 Keep this cake chilled until ready to serve. Enjoy! Hey guys! We’re back on the series I’m doing for Simple Recipes to Build Your Recipe Box, and if you want to see the other recipes from this series, have a look over there! Today though we’re touching on bread. I wanted a super simple bread recipe that worked well for a classic sandwich bread loaf, but that can also be a great base for other bread recipes! What you get here is a pillowy center of bread, a medium-thickness crust, and an overall buttery, lightly-sweet flavor. In a lot of ways, I’d totally love to be one of those moms that makes homemade bread for the homemade lunches of her children every week, but I also know that’s never going to happen for me. It’s cool, we do not have to do this actually, it turns out grocery stores really give us a hand sometimes. 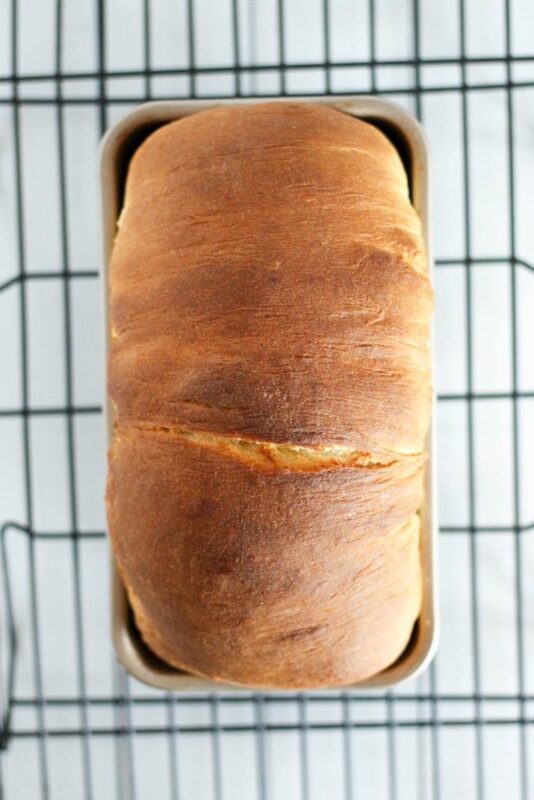 BUT, it is really, really nice to have the smell of homemade bread wafting through your house sometimes, and this is a great place to start. Baking bread at high-altitude is really tough. It’s always been one of the most-failed types of recipes for me, but often the fix is fairly simple here. The thing that is most important for high-altitude bread baking is to not let it rise to much! Where sea level recipes typically take longer to rise, you also don’t want to rise your dough as much in size- for example, if it says to double the size, you probably only want to see it rise by about 1/3 in size here at altitude. 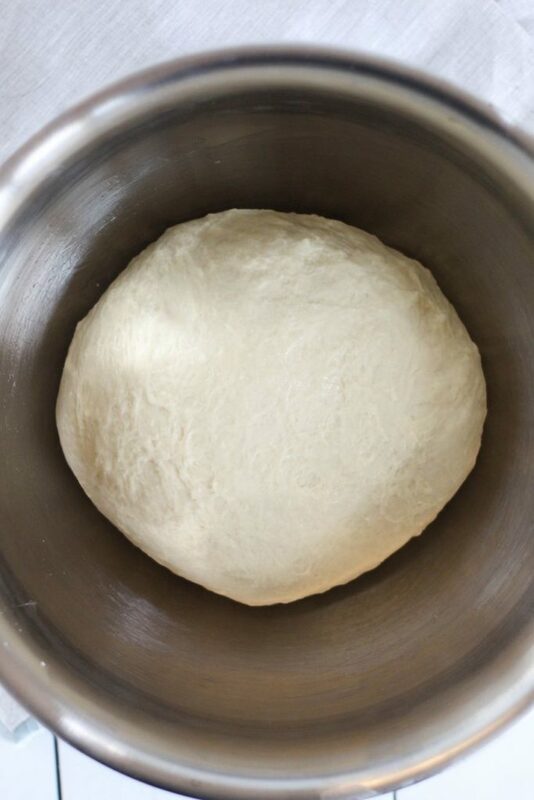 I actually usually take a picture of my dough with my phone right when I set it aside to rise, and use it for reference to make sure I know how big it’s getting. It’s tough to remember, or maybe that’s just because I’m getting old? Anyways, my point is- don’t over-rise your doughs! The other main issue here is that liquid evaporates a bit faster up here, so I usually add an extra couple of tablespoons of water or milk to my bread recipes to compensate for that. And finally, you may notice bland-tasting bread on occasion, so you just want to be a bit more generous with salt and sugar! So here we are. 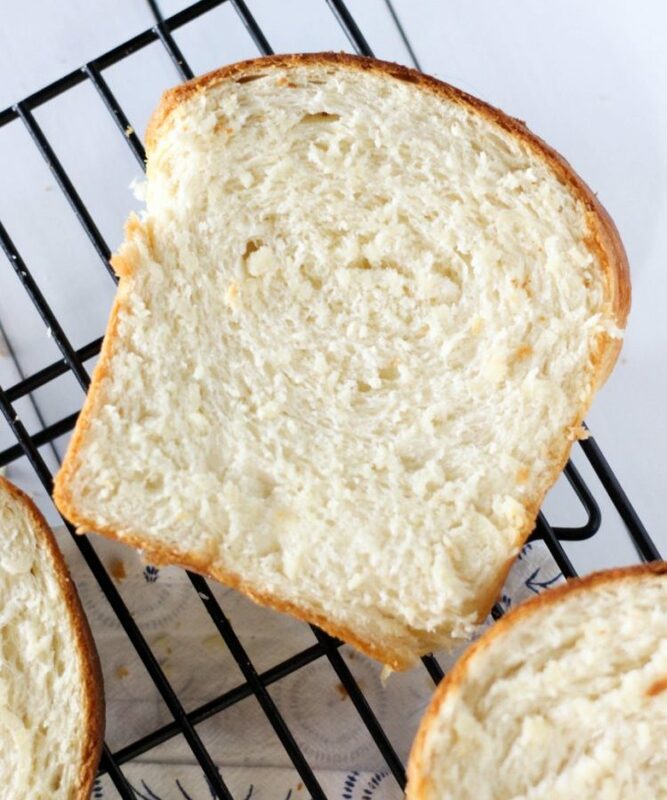 The perfect sandwich bread. It’s sweetened with a little bit of sugar and also a little honey, which adds a nice touch of flavor. Plus, it’s brushed with butter both before and after baking, it’s fantastic you guys! 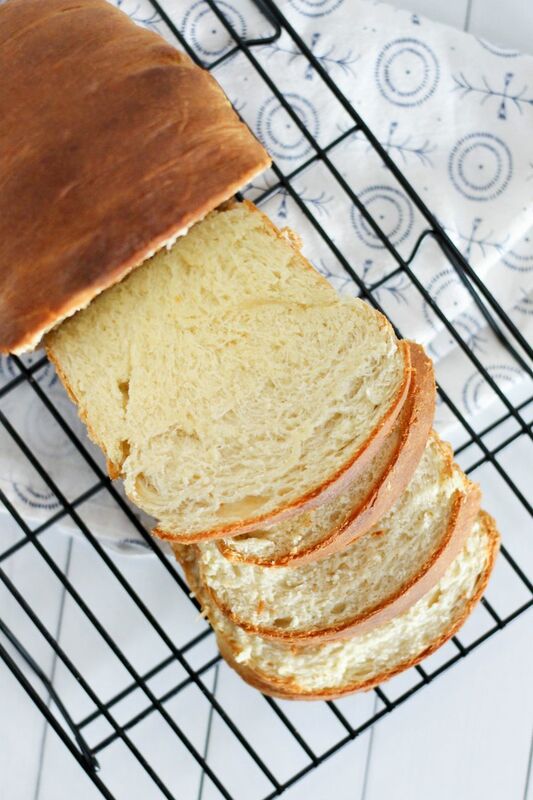 I hope you enjoy this one- there’s really nothing quite like fresh-baked bread, so if you’ve never done it, make today the day! In a microwave safe bowl, heat the water, milk, sugar, honey, and 1 tbs. butter in the microwave until it reaches 110-115 degrees on an instant read thermometer. Stir in the active dry yeast, and set aside to bloom for about 5 minutes, or until the mixture is bubbly and foamy. Transfer the yeast mixture to the bowl of a stand mixer (or into a large mixing bowl), and add in two cups of flour along with the salt. Mix until combined with a paddle attachment, or with a wooden spoon. The mixture will be liquidy and lumpy at this point. Add in another cup of flour, and continue adding in 1/4 cup portions until the dough starts to pull away from the sides of the bowl. Switch to a hook attachment at this point. The dough should be soft and slightly sticky when you stop adding flour. Knead either in the mixer or by hand until the dough is elastic. By hand, this will take about 10 minutes, and by mixer it should take about 5. The dough may still be slightly lumpy, but should spring back when you touch it. Transfer the dough to a lightly oiled large bowl, and cover with plastic wrap. Let the dough rise by about 1/3 in size, which takes about 30 minutes for me, but keep an eye on your dough size to avoid over-proofing. Grease an 8 or 9 inch loaf pan. Set aside. Roll your dough into a large rectangle. 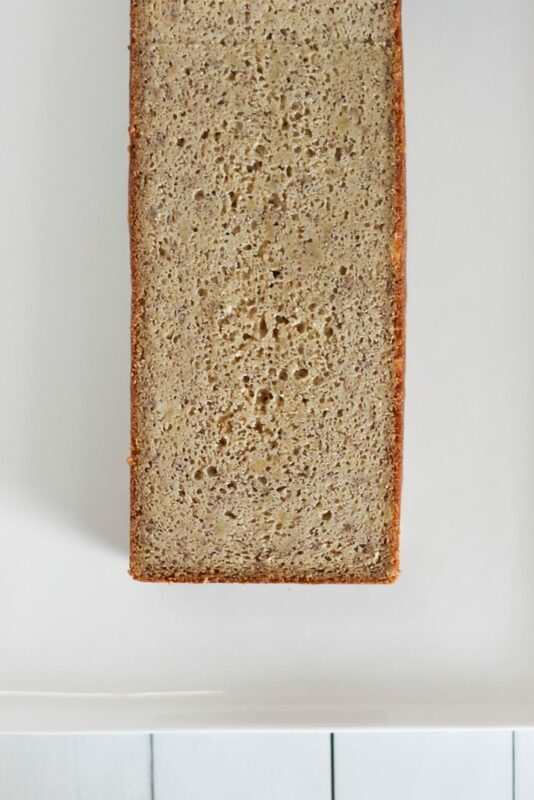 One side should be about the same length as the length of your loaf pan. 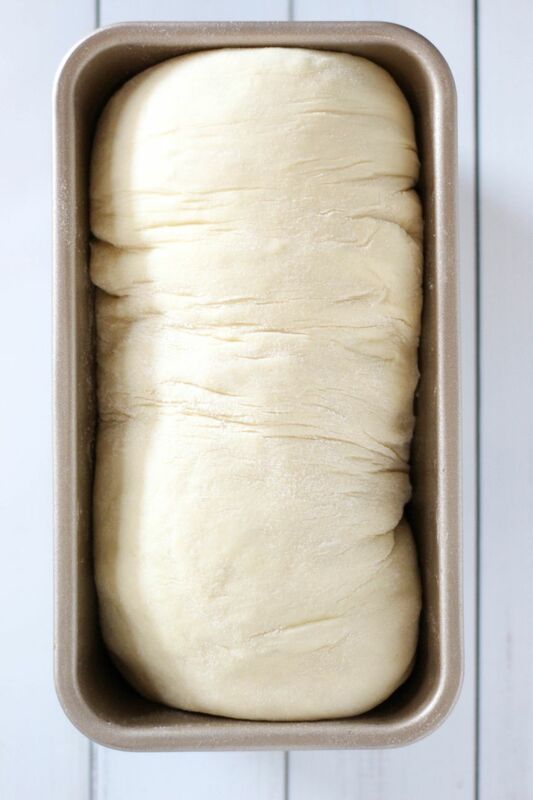 Roll the dough, starting on the loaf-pan-length side, into a tight log, and place seam-side down into your prepared loaf pan. Cover with plastic. Preheat your oven to 375 degrees. 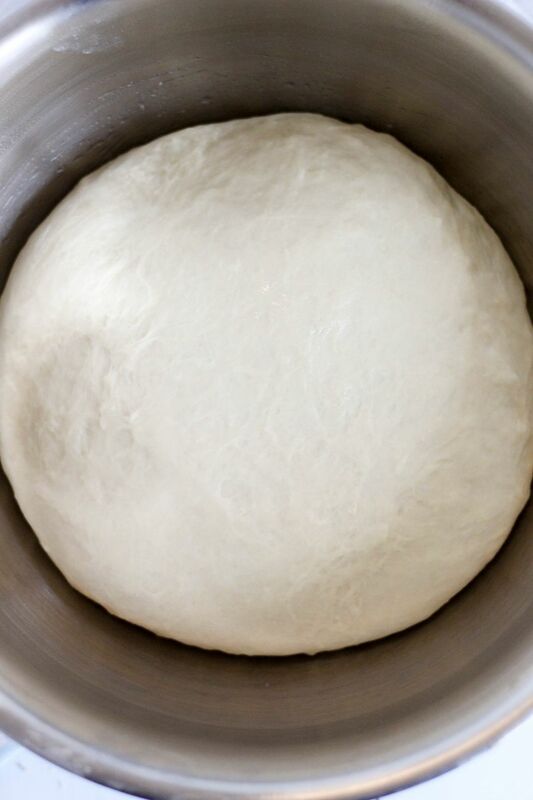 Let the dough rest for about 15 minutes. It will be just slightly puffed. 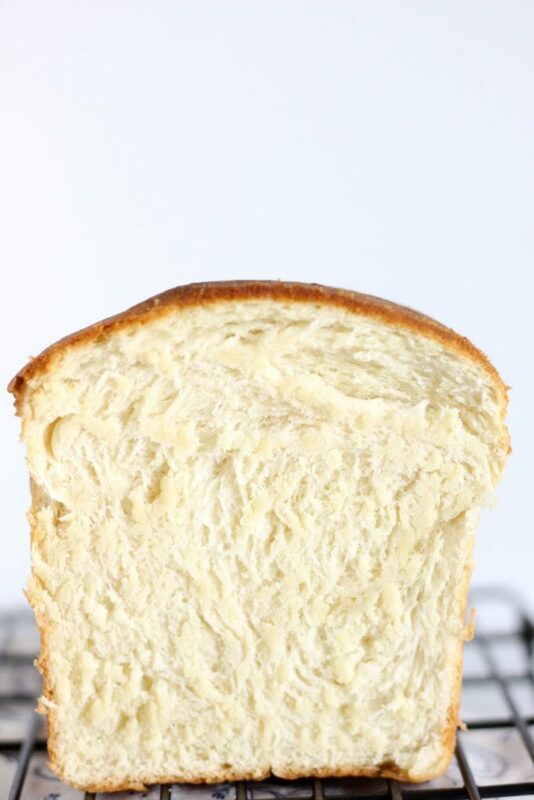 Brush the top of the loaf generously with some of the melted butter, and bake for 45-48 minutes. The dough should reach a deep golden brown color, and you can use an instant read thermometer to see that the inside reaches 195 degrees. 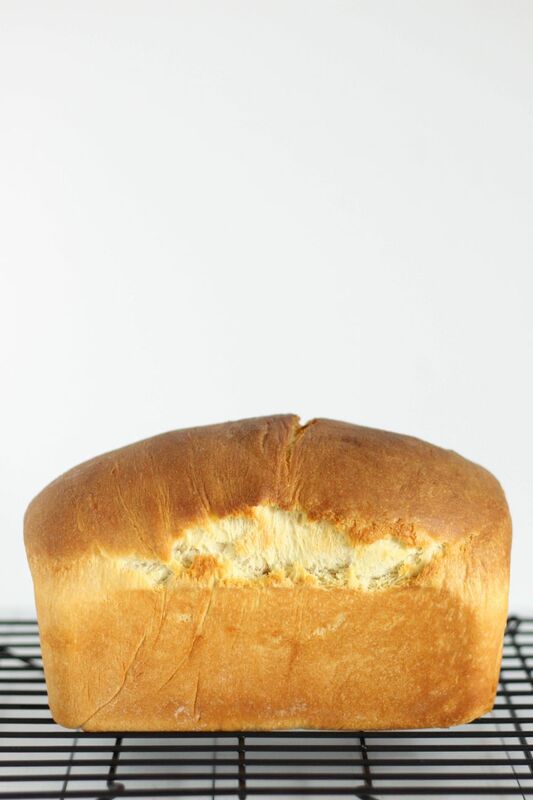 Brush the remaining melted butter over the top of the loaf immediately when you take it out of the oven. Cool for about 20 minutes in the pan, and then turn out onto a cooling rack to finish cooling. Wait until the bread is completely cool to slice. Enjoy! Hey guys! We’re on cake again, it’s a good ‘un. 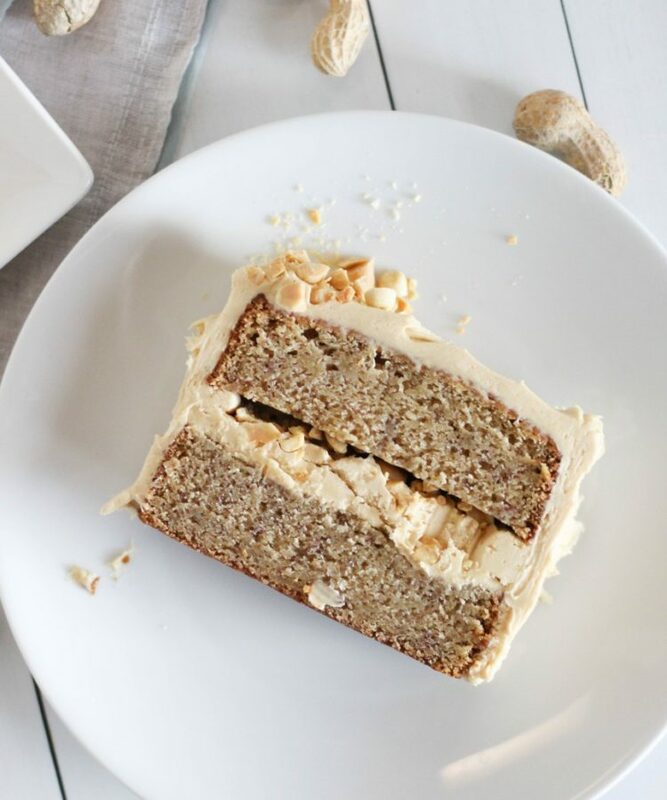 Like most banana recipes, this one came out of finding that I had some over-ripe, toasty-colored bananas sitting on my counter that needed some love. 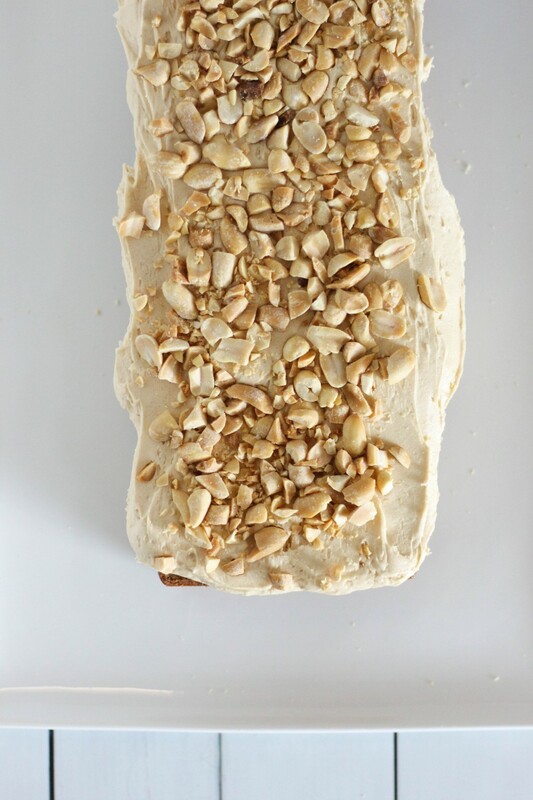 Today I’m making a layer cake from a loaf pan cake, and it’s a revelation. I’m not going to completely take credit for this- I got the idea from a bakery in Denver called Sugar Bakeshop. I recently visited and it’s BEAUTIFUL, but also they have these amazing little loaf layer cakes on display. So here we are. 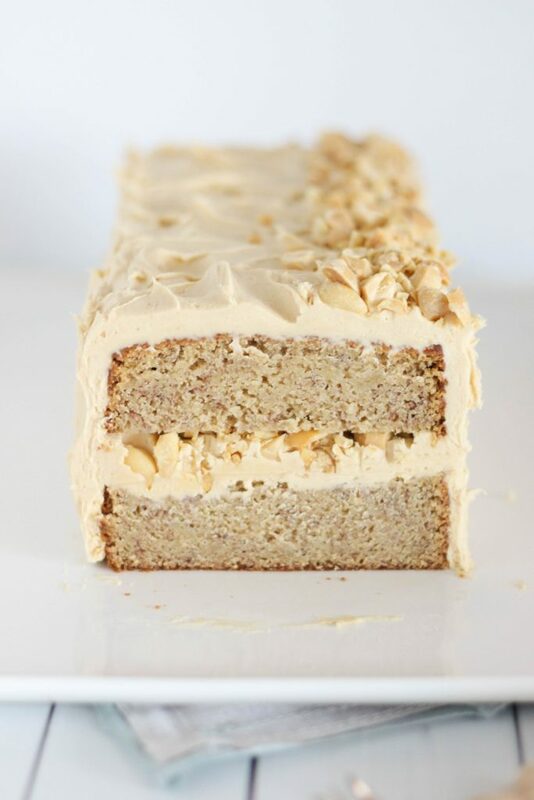 Here’s what I really love about doing a layer cake this way. One- the shape is unique, and it kind of makes the whole cake feel a bit fancier. Two- it’s small. 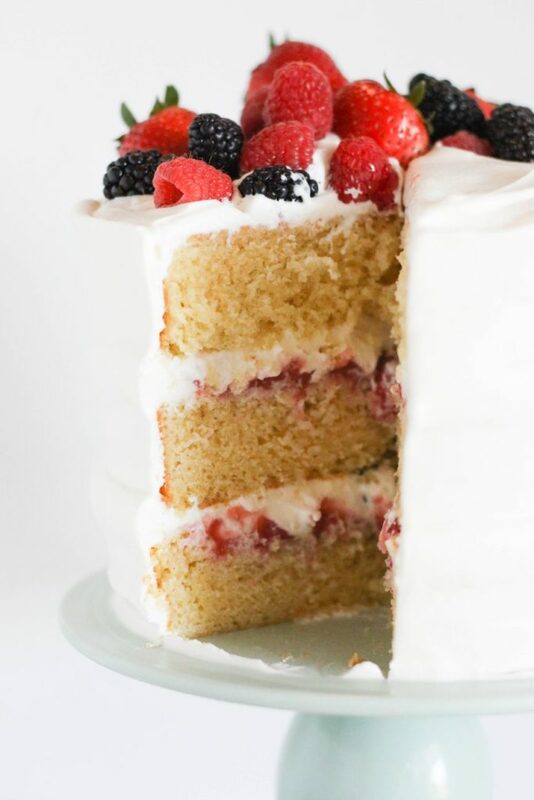 Layer cakes often end up being this huge thing that you have tons of leftovers with, and it’s kind of a hassle all said and done. But you get everything you want out of a layer cake here, with only two layers to stack, one pan to bake in, and reasonable portions. 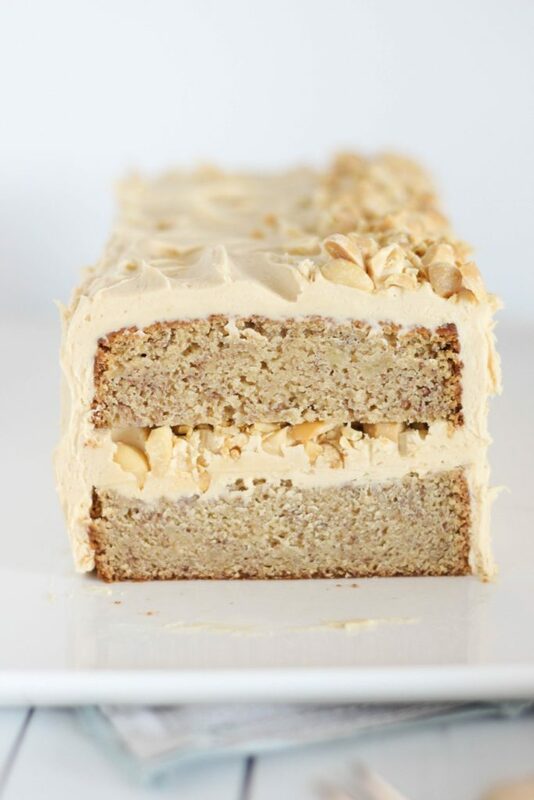 So, I love a good banana cake, and this is no exception. 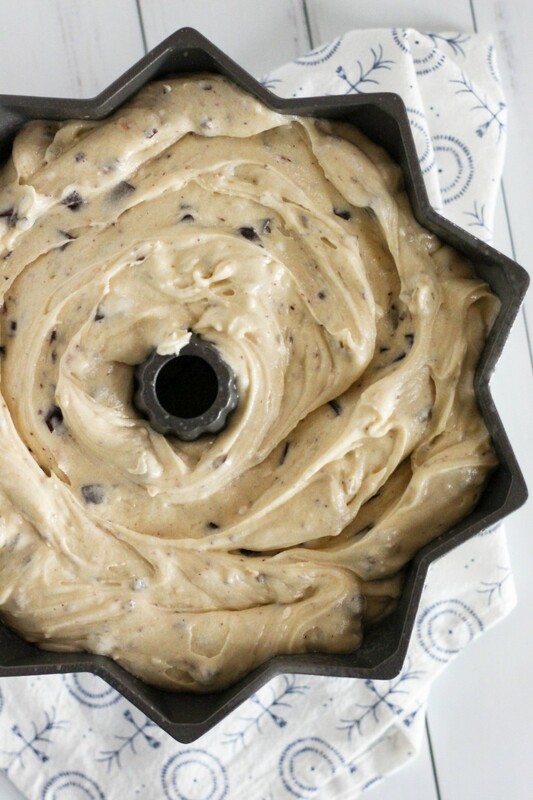 The cake bakes in a loaf pan, so it takes a bit longer to cook than normal cake layers. But, and this is a huge benefit, there’s only one cake pan to wash at the end of the day. Speaking of the pan, I’m using a loaf pan that has straight sides, but it’s not necessary. You may just need to compensate with frosting, and that’s REALLY not a problem. We’re just slicing this bad boy in half for our layers. 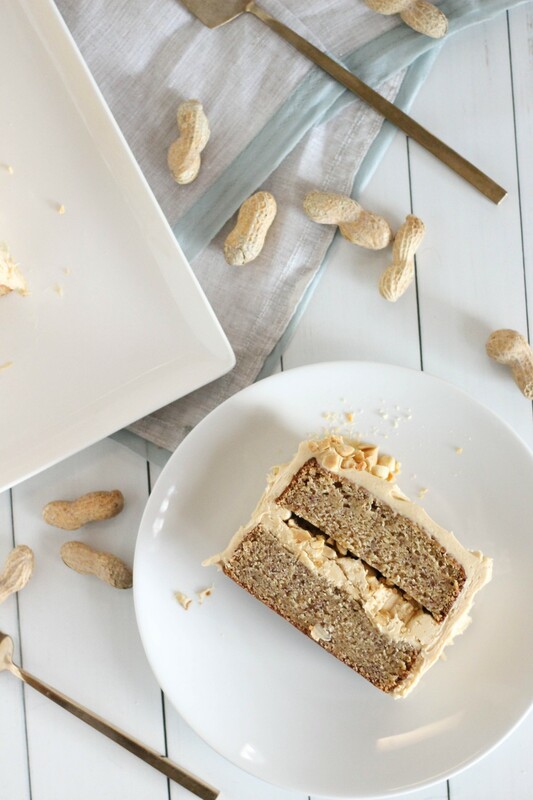 Speaking of layers, we’re using a fluffy, peanut buttery buttercream here, and piling some roughly chopped peanuts in the middle as well for that added crunch and saltiness. This is an American buttercream, which means there’s a good deal of powdered sugar in it. However, we’re swapping out half of the butter for peanut butter, and adding a generous splash of heavy cream to fluff things up. 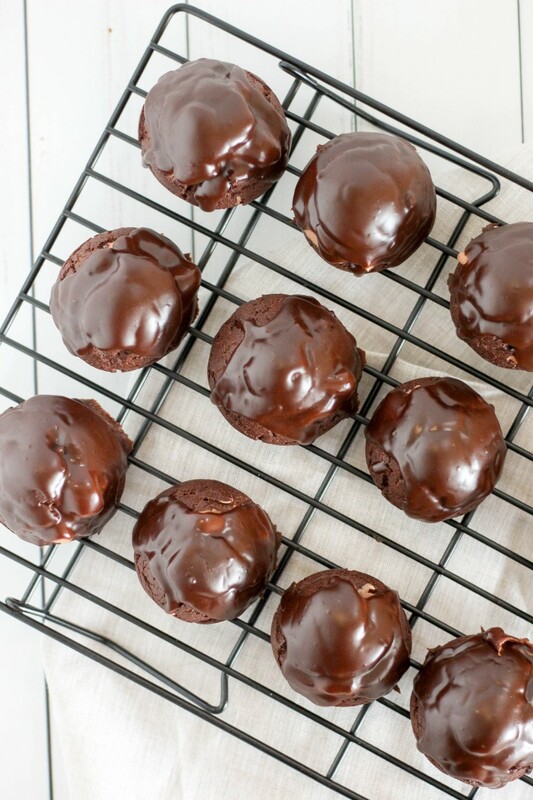 I love this recipe, I think you guys will too. And expect more loaf layer cakes from me, it’s THE BEST. Preheat your oven to 350 degrees, and grease and flour a 9-inch loaf pan, preferably with straight sides. Set aside. In a medium bowl, whisk together the flour, almond flour, salt, baking soda, and cinnamon. Set aside. In a large bowl, beat together the butter, brown sugar, and sugar until combined and fluffy. Add in the egg, mashed bananas, and vanilla extract and beat until combined. Add in the flour mixture and the buttermilk in alternating additions, starting and ending with the flour mixture, and beat until completely incorporated. Pour the batter into your prepared pan. Bake for 50-55 minutes, or until a cake tester comes out clean. Cool the cake in the pan for 15 minutes, and then turn out onto plastic wrap. It's okay if the cake is still pretty warm. 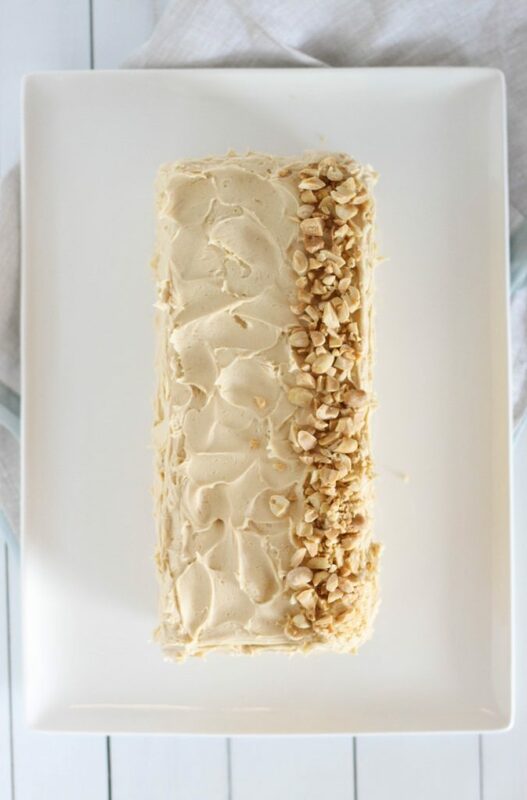 Wrap the cake tightly, and freeze for at least an hour before slicing and frosting. In a large bowl, beat together the butter and peanut butter until fluffy. Slowly beat in the powdered sugar and salt, scraping the bowl when needed. The mixture will be thick. Add in the heavy cream, and beat until fluffy. 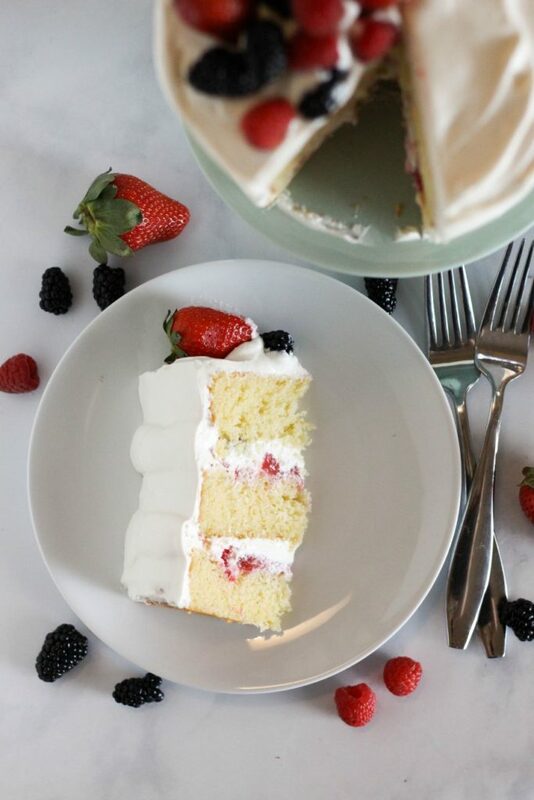 To build your cake, unwrap the frozen cake, and slice it in half with a sharp knife. On the bottom half, spread a generous portion of frosting, and sprinkle on the chopped peanuts. Top with the second half, and frost and decorate as desired. Enjoy! Hey guys! Today we’re on cream puffs, and if you’ve never made them, today is the day! I think with all pastry, I always get pretty nervous, but really it’s not as difficult as you might think. And cream puffs are a great place to start if you’ve never made any kind of pastry before. I’d have to say this is probably the easiest option. 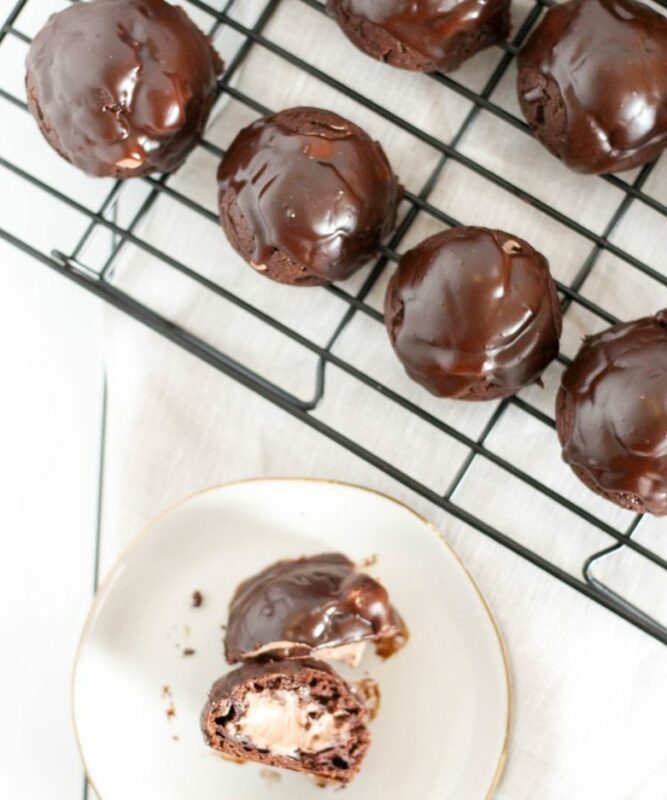 That being said, if you’re more into the classic, click on over to my original cream puff recipe for a fantastic vanilla version! There’s two main points to focus on when it comes to getting these right. The first is the dough. I pretty much always find that 3 eggs is right for this recipe, but you want to pay close attention to the FEEL of the dough. Once the eggs are mixed in, grab a little bit of dough between your thumb and first finger. Mush your fingers to together lightly, and pull them apart- you should have a stretchy dough here. If the dough breaks right away, go for another egg. The next problem area is baking time. If you under-bake here, your puffs will collapse when they cool, and you won’t have those much needed pockets on the inside. On a classic dough, you’re looking for a deep golden brown, but on chocolate, things get tricky. Here’s my tip- wait until the dough looks completely dry. And if you aren’t sure, carefully pick up a puff. It should be very light! So, onto the filling. If you’ve made my other cream puff recipe, you know I take a shortcut here. We don’t all always have time to make pastry cream do we? So, I actually use instant pudding mix and add in heavy cream with the milk. 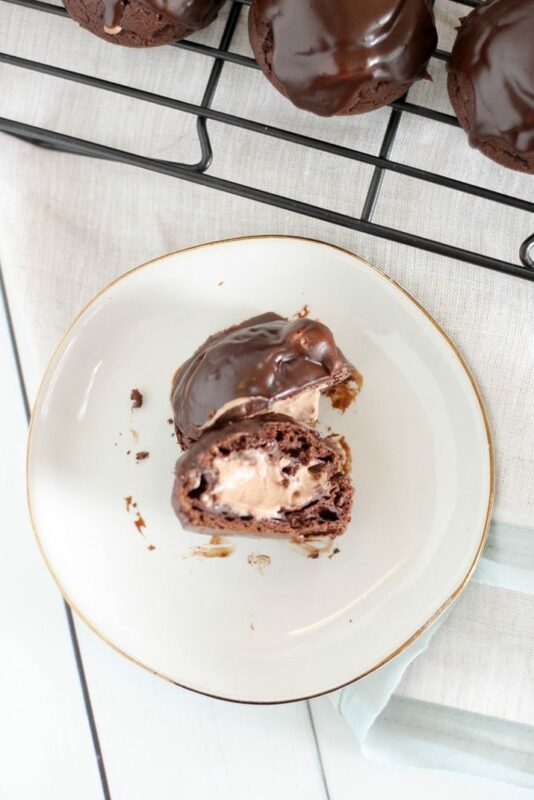 You get a fluffy, mousse-like filling that you’ll absolutely love! We’re ready, okay guys? You got this, I got this, we can all eat cream puffs tonight and dazzle our friends, k? Preheat your oven to 400 degrees, and line a large baking sheet with a nonstick mat or parchment paper. Set aside. In a medium bowl, stir together the flour, sugar, and salt. Set aside. In a medium saucepan, melt the butter over medium heat, and then add in the water and vanilla extract. Bring the mixture to a boil, and remove from heat. Immediately stir in the flour mixture, using a wooden spoon or spatula to fully incorporate. Cool for about 10 minutes. Using a hand mixer, a stand mixer, or just a spatula, work in the eggs one at a time. This will take a few minutes, and you want to fully incorporate each egg before adding the next. The dough should be sticky and very stretchy. Transfer to a piping bag with a large tube tip on it (I use the Ateco 808 tip), and pipe the puffs onto your prepared baking sheet, about 3 tablespoons of dough per puff. You'll end up with some pointy tops or edges no matter how you pipe them. Wet your fingers with water to press down any pointy edges and further shape the puffs if needed. 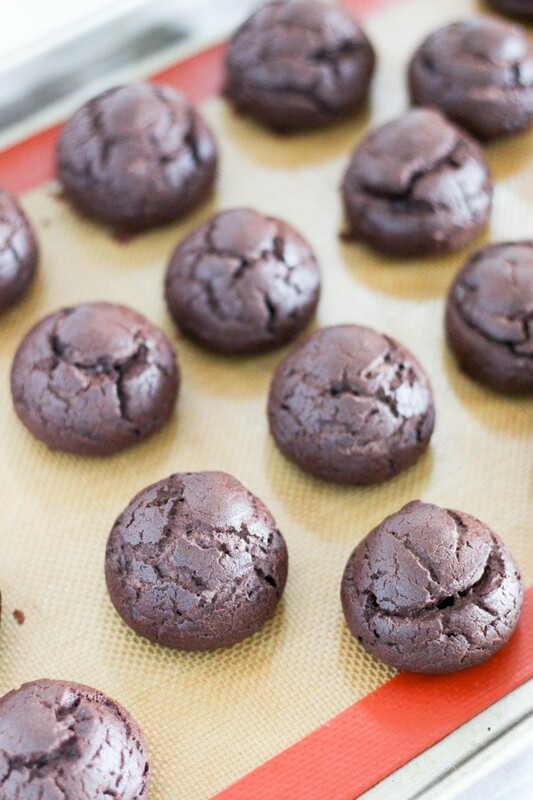 Bake for 25-30 minutes, or until the puffs are puffed and the dough looks completely dry. Cool completely before filling. In a large bowl, beat together the pudding mix, milk, and heavy cream until the mixture is thick and slightly fluffy. This takes about 5 minutes for me with a hand mixer. Chill until ready to fill puffs. 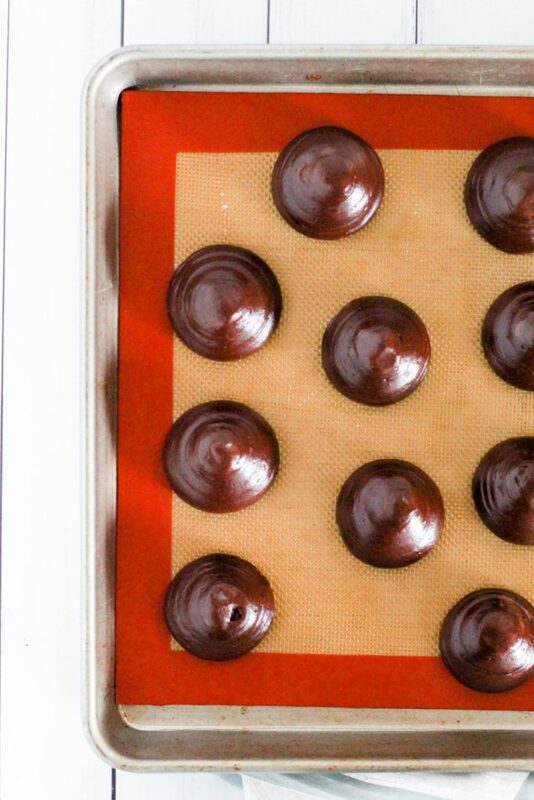 Transfer to a piping bag fitted with a small round tip, and poke into cooled puffs to fill. Alternatively, slice the puffs in half and spoon the filling in. You will have leftover filling- it's great on it's own. Heat the heavy cream, vanilla, and salt in the microwave until boiling. Add in the chocolate chips, and whisk until smooth. 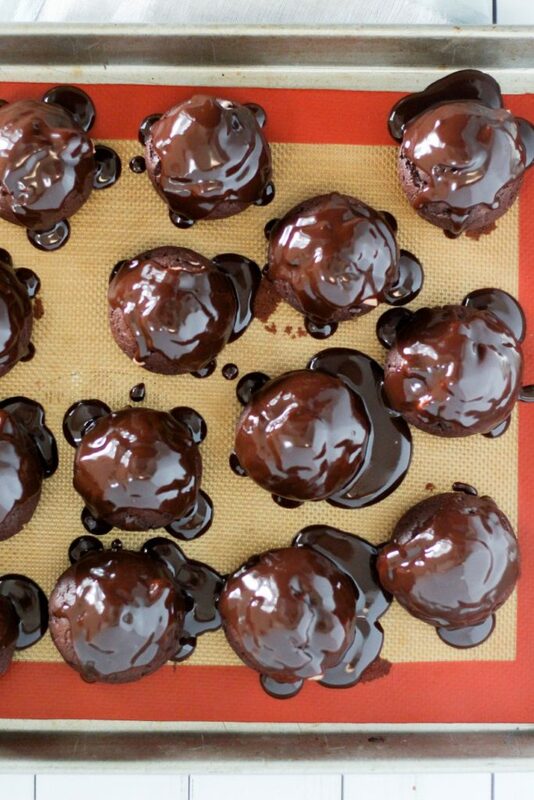 Pour over the filled puffs, and allow to chill until ready to serve. Enjoy! We’re just over here creepin’ up on summer, and it’s about time to make everything taste like s’mores, amirite? You guys know I’m into cake, and I’m into pound cake specifically like a lot. Here we are again. I’ve got an amazing recipe for toasted marshmallow cookie bars in my book Sugar High, but I wanted to know what else we could throw ’em into. There’s a lot of s’mores flavored things out there, but I think very few of them are done well. If it’s not toasted marshmallows, it’s not right. So when you want to toast some indoors for a recipe like this, there’s a couple of options. If you have a torch, go at them. If you have a stove of any kind, you can put them on sticks and toast them over your burner (even electric stoves!) And if you want, you can lay them out on a pan and put them under the broiler in your oven, watching carefully. No matter what you do, get them good and browned, that flavor is important! And all that said, since we’re going with vanilla cake here, the toasted marshmallows are definitely a subtle flavor in this one. Trust me though, everything comes together. 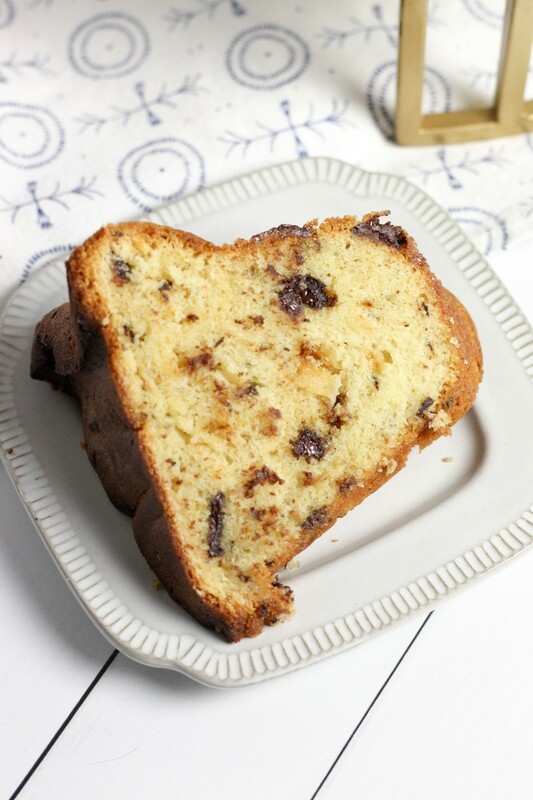 We’re using chocolate chunks here, which I love using in cake because when you chop, you get a bunch of different sized pieces and crumbs, and they scatter all through the cake, it’s good. That was a run-on, this is how I talk, okay? Also, IMPORTANT NOTE- don’t skip the step where you toss the chocolate chunks into a little bit of the flour mixture- it really matters for making sure the chocolate doesn’t all sink to the bottom. Life lessons you guys. So. Instead of doing a typical chocolate cake here, we’re going vanilla with chocolate chunks and toasted marshmallow. Things get messy with marshmallow, and the easiest way to work it in evenly is to do it in the first step with the butter and sugar. You still might have some bits stuck to the side of the bowl, that’s totally fine, we’re managing. 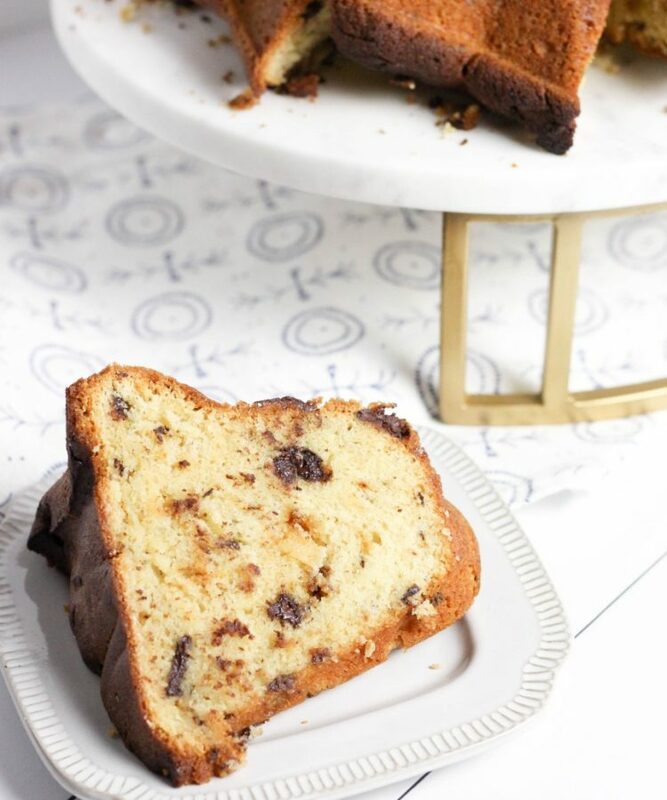 This pound cake is a simple one, and it doesn’t rise too much in the oven, but you still need to make sure you’re using a 10-12 cup pan. 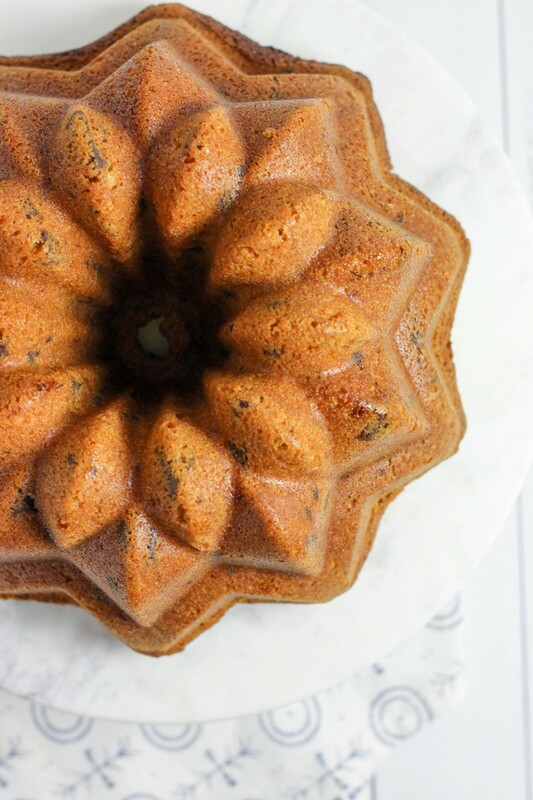 As always, Bundt pans are tricky, and you need to be sure to grease it generously! Alternatively, you can also make this into two 9 inch loaf pans, works beautifully. 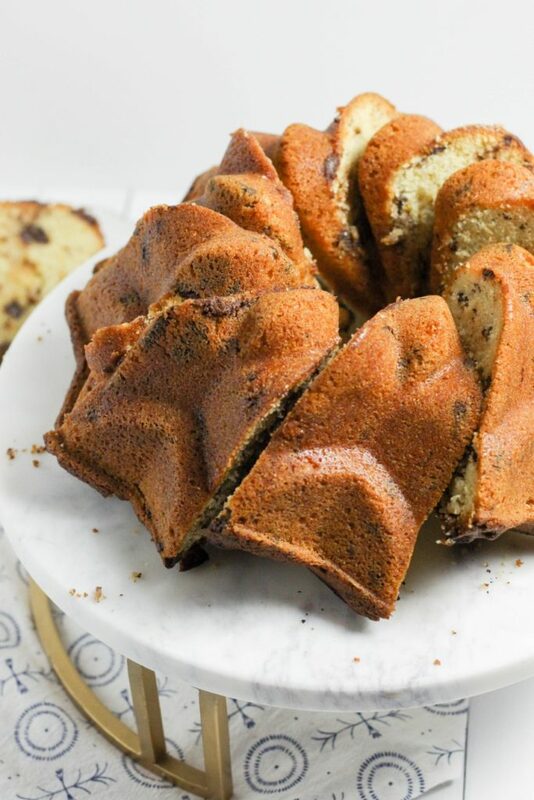 And so what we end up with is a beautiful pound cake, dense and close-crumbed, with chocolate pieces running throughout, and a little toasty, marshmallowy flavor in the background. Life is good, we’re eating cake, and have a good rest of the week you guys! To toast the marshmallows- You can either use a kitchen torch to toast until golden, toast on a skewer over a turned-on burner of your stove, or place the marshmallows on a lined sheet pan and put under the broiler of your oven for 2-3 minutes, or until toasted and puffed. Set the marshmallows aside to cool completely before starting the recipe. 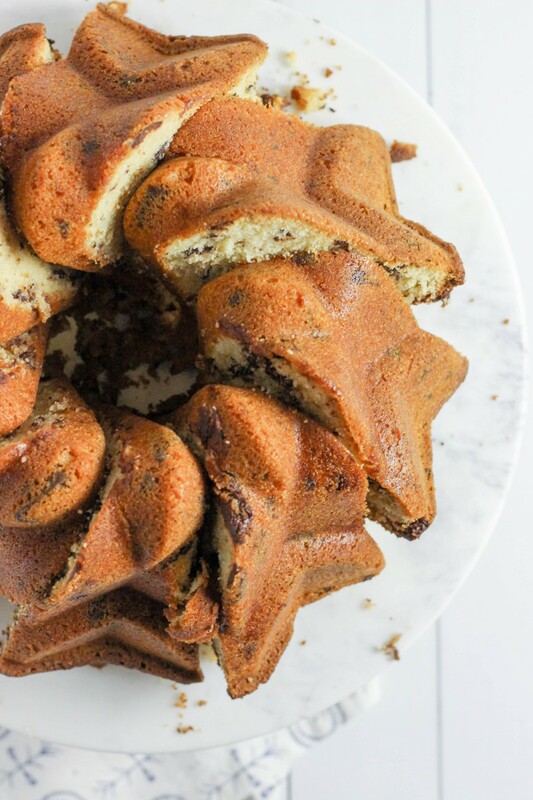 Preheat your oven to 350 degrees and generously grease a 10-12 cup bundt pan. Set aside. In a large bowl, beat together the softened butter, toasted marshmallows, and sugar until combined and fluffy. Beat in the vanilla extract. Add in the eggs, one at a time, mixing between each addition until combined. Reserve about 1 tablespoon of the flour mixture. Add in the flour mixture and the whole milk in alternating additions, starting and ending with the flour mixture, and beat until the batter is smooth. Toss the reserved flour mixture with the chocolate chunks to coat, and fold the entire mixture (including any excess flour) into the batter until well distributed. Pour the batter into your prepared pan, and spread evenly. Bake for 60-70 minutes, or until a cake tester comes out clean. If the cake begins to get fairly dark, gently cover in foil to stop browning. 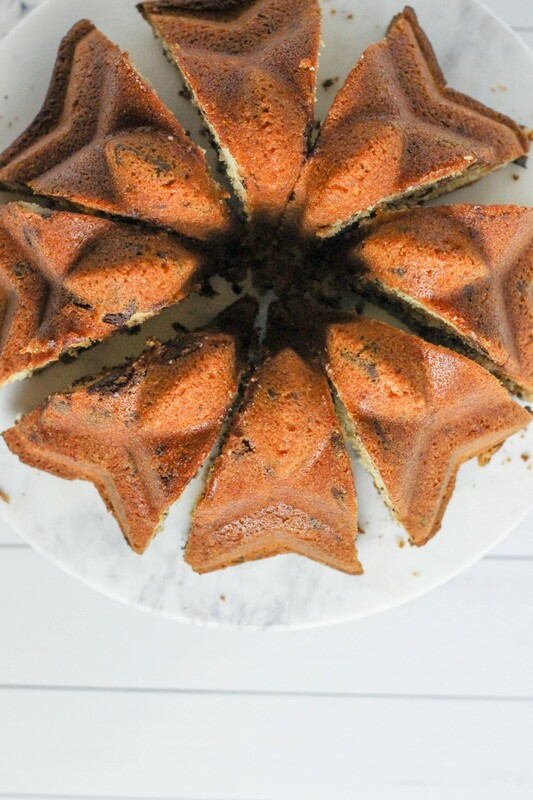 Cool the cake for 30 minutes in the pan, and then turn out onto a cake stand or cooling rack to finish cooling. Slice and enjoy!